While we’ve been seeing Christmas decorations since well before Halloween at Walt Disney World, the day after Thanksgiving is when the holiday season really takes off. That’s when performances of the Candlelight Processional begin at Epcot. 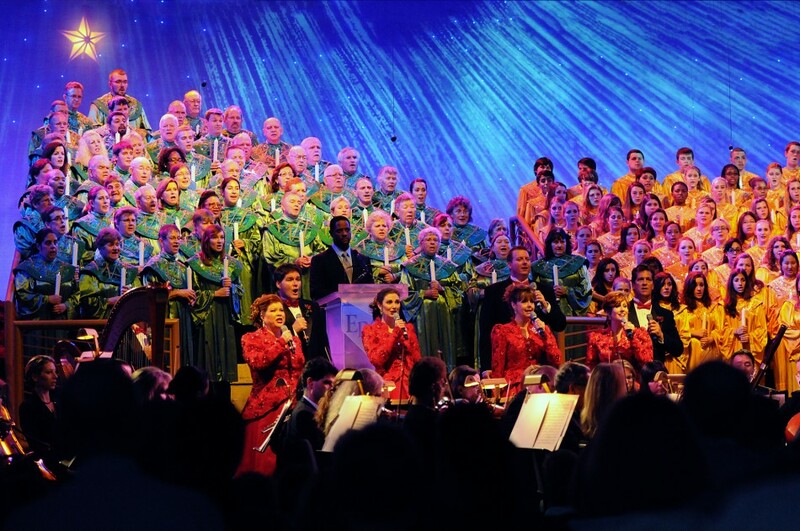 Now in its 43rd year, the Candlelight Processional is a timeless holiday performance at Epcot. 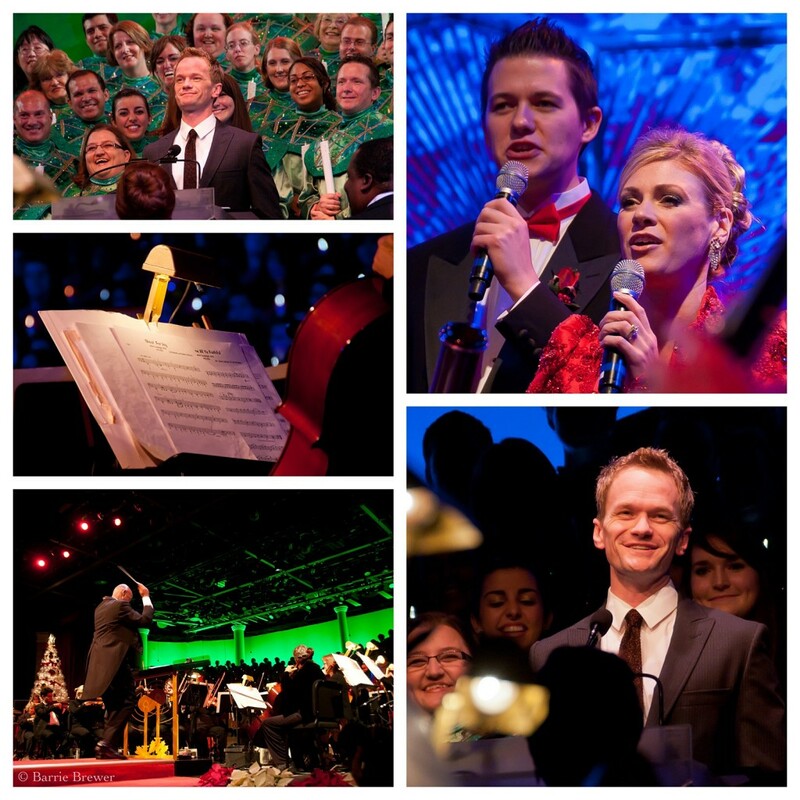 It combines seasonal music with the poignant reading of The Christmas Story by a celebrity narrator, accompanied by a 50-piece live orchestra and a choir composed of Disney Cast Members and guest choirs from around the country performing seasonal melodies. Performances are held at the America Gardens Theatre on select nights November 29 – December 30. Each show is approximately 40 minutes, with three shows per evening at 5, 6:45 and 8:15 p.m. (Show times on December 8 are 6:45 and 8:15 pm only.) The America Gardens Theatre is an outdoor venue and the show proceeds regardless of weather. The theatre is uncovered in some places and it is not climate controlled, so dress accordingly. 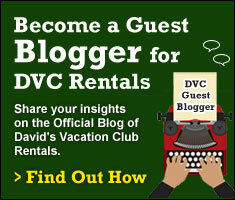 12/04 – 12/05: Ashley Judd – New in 2013! 12/11 – 12/13: Dennis Haysbert – New in 2013! 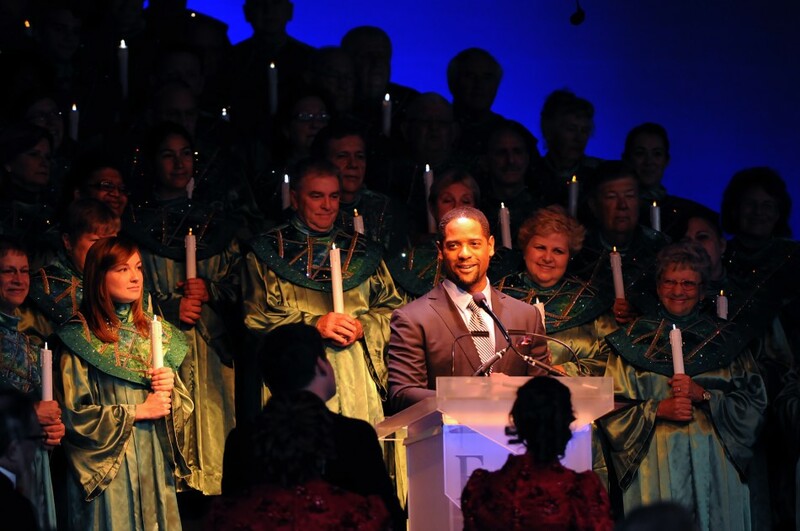 The Candlelight Processional is included with your admission to Epcot – there is no additional charge. Open seating is on a first come, first served basis for each show. Guests begin to line up at least 45 minutes before show time. Closer to the holidays, the line can begin an hour or more in advance. About 15 minutes prior to the show, seating will be opened up to those in line. As you stand in World Showcase facing the America Gardens Theatre, you will see a line on either side of the theatre. The line on the right side is for open seating. Be sure to check with a Cast Member upon arrival to make sure you get in the correct line! You can easily hear (but not see) the show from outside of the theatre and many people who don’t mind standing choose to do just that and avoid the lines altogether. In fact, if you wait in line for the 2nd or 3rd show of the night you will hear the show before yours as it is performed. My preference is to sit in a good seat without having to spend an hour in line, so my recommendation is to purchase a Candlelight Dining Package, which combines lunch or dinner at select Epcot restaurants with guaranteed seating for the Candlelight Processional and a special VIP viewing area for IllumiNations: Reflections of Earth. Personally, I feel like this is a good deal for the best experience. With the Dinner Package you get a guaranteed seat in a reserved section, not a reserved seat. The reserved section is front and center, behind any VIP seating. Within the reserved section, seating is on a first come, first served basis, so if you want your choice of seats, you should still arrive 30-45 minutes early. The line on the left side, facing the theatre, is for Guests who have purchased the Dinner Package. Dining is scheduled prior to the performance time that you choose. Dining reservations for the 5:00 pm show must be between 12:30 and 2:30pm. This will often be considered a lunch package. The menu is often the same as dinner, for at a lower price. The trade off is that the sun won’t be setting until around 5:30. If you prefer your entire performance in the dark you may want to book a later time. Dining reservations for the 6:45 pm show must be between 3:30 and 4:15 pm. This is my preferred time for viewing the show. Dining reservations for the 8:15 pm show must be between 4:20 and 5:45 pm. If attending the 8:15 pm show, keep in mind that the preferred viewing area for IllumiNations is on the opposite side of the lagoon, in front of the entrance to Futureworld. Be prepared for a brisk walk through a crowd. When you arrive to that area, Guests from the earlier shows will likely already have staked out their spots. 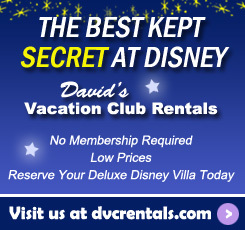 Guests who have the Magic Your Way Dining Package or Deluxe Dining Package will use 2 table service entitlements and those holding the Premium or Platinum packages will use 1 meal entitlement regardless of which restaurant is chosen. The package includes choice of appetizer, entree, dessert, and non-alcoholic beverage. Prices vary depending on which restaurant is chosen. Prices include tax, but not gratuity. Booking for the Candlelight Processional Dining package usually opens in the summer. It’s good to call early to be sure you get exactly what you want, but if you can be flexible you can still book packages by calling 407-WDW-DINE (407-939-3463). Be sure to specify that it is a Candlelight booking to get reserve seating for the show. Have your credit card ready to hold the reservation. You won’t be charged until after your meal. You will receive a badge at the restaurant. Wear your badge to access the guaranteed seating at the American Gardens Theater for the booked show time and the viewing area for IllumiNations: Reflections of Earth. Whether you choose to purchase the Dining Package or not, the Candlelight Processional is well worth your time. For many years I didn’t go to the performance because I didn’t want to take time away from touring the park. I finally acquiesced and attended with friends one year recently. It turned out to be one of my fondest Walt Disney World memories and I’ve gone every year since. I highly recommend this performance to get you in the holiday spirit.